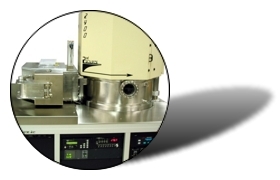 ﻿ 2400 cassette style automated sputtering systems by Second Source, Inc.
Second Source, Inc - Provider of reliable sputtering systems for 33 years. 2400 cassette series - Sputtering Systems. Single piece cassette style sputtering (deposit) etching system. 3-axis robotic arm wafer handler. Individually customized fully automated software control system. Click a picture to expand it.